While the Left tries to blame guns for the near-massacre – even though guns weren’t used. 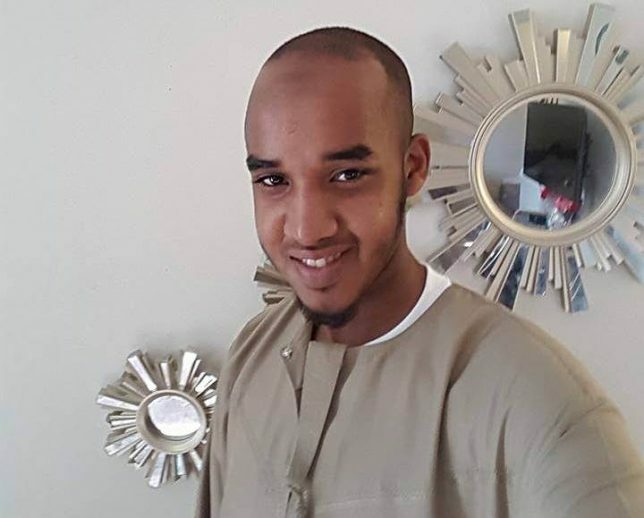 The Muslim terrorist group Islamic State has claimed responsibility for U.S. green card holder Abdul Razak Ali Artan’s brutal car-and-machete attack at Ohio State University. On Monday morning 18-year-old Artan drove his car through a crowd of pedestrians at OSU’s Columbus campus. He exited the vehicle and then began hacking away at people with his knife. A police officer at the scene shot and killed him. Media reports indicated 12 people were injured in the attack but none suffered life-threatening injuries. Columbus Police Chief Kim Jacobs promptly said “I think we have to consider that it is” a terrorist attack. Somalia and Pakistan are “two epicenters of the global jihad,” writes Robert Spencer. If President-elect Donald Trump’s proposal to place a temporary moratorium on immigration from jihadist-friendly countries had been in effect “Monday’s jihad attack at Ohio State University would never have happened,” he adds. Somalia is an overwhelmingly Muslim nation. Over 99 percent of Somalians are Muslim, according to Pennsylvania State University. Mass Muslim migration to Western nations in recent years has generated major concerns about cultural assimilation, vetting procedures, and, ultimately, instances of radicalization and violence. Somali refugees have taken up residence in communities across America, creating Little Mogadishus across the fruited plain. Somalis in Columbus have been implicated previously in Islamic terror plots. Despite the evidence pointing to jihad as the motive, talking heads spent untold hours on cable news networks Monday handwringing as they cautioned against leaping to conclusions about the motive of the killer. This is the way it works nowadays. The Obama administration, local authorities, left-wing kooks on Twitter, and the media play a gigantic game of pretending not to notice that terrorist attacks are terrorist attacks. Knee-jerk leftists immediately tried to change the subject from terrorism after the attack, blaming guns even though firearms were not used in the attack. Rep. Sheila Jackson Lee (D-Texas) tweeted “Today is yet another … sad day in our country because of a senseless shooting at an Ohio State University. Annoying affective actor George Takei joined in, tweeting, “Tired of the shootings, and the complicity of the NRA? Join us to help fight.” He included a link to his (closed) Facebook group. The Left has no ideas. They use the same old script from the same old playbook. On June 12 of this year the mangled bodies of 49 dead Americans were still warm on the blood-stained nightclub floor at Pulse in Orlando, Fla. when the Left launched a propaganda campaign to protect the totalitarian ideology of the Muslim terrorist who methodically slaughtered these innocents. The killer, Omar Mir Siddique Mateen, had carried out the worst mass shooting in American history and the worst terrorist attack on American soil since 9/11. Journalist Tom Brokaw editorialized at the time that the real problem was guns not Islam. “Everything seems to get settled by a gun for whatever reasons,” he said. The lies, reflexive reactions, and red herrings of TV talking heads like Brokaw were repeated over and over again by left-wingers all over the Internet and their allies in the media echo chamber. Democrat lawmakers blamed inanimate metal objects for the terrorist massacre. They staged a raucous “sit-in” in the House of Representatives on June 22 in an attempt to force a vote on expanded gun control measures. Journalists indulged the politicians by providing saturation media coverage of the stunt. The Left used the deadly Dec. 2, 2015 Muslim terrorist attack in San Bernardino, Calif., to advance the gun control agenda. Before much was known about the perpetrators, the media spent the afternoon of the day of the attack speculating about the shooters, predictably blaming conservatives, Tea Party supporters, and militia groups. President Obama demanded “common sense gun safety laws” and called for a law blocking individuals on the “No Fly List” from legally purchasing firearms, a measure that would almost certainly violate the Constitution. Of course it was a gun that ended Abdul Razak Ali Artan’s terrorist attack in Columbus. And as long as the Second Amendment is respected, Americans armed with guns will keep on foiling Muslim terrorists. This article originally appeared in today’s edition of FrontPageMag.